Jaguar’s first ever 5 Series rival was criticised in its day for too-retro styling, but it’s a canny buy if you can track down a good one. 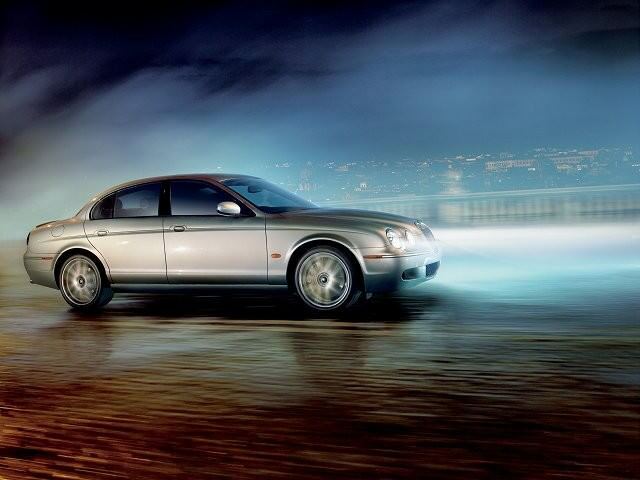 Way back in 1998, Jaguar actually only had a two-car model range – the XJ saloon and the XK coupé. The S-Type changed all that, giving Jaguar a rival for the likes of the BMW 5 Series and Audi A6 and was, effectively, the first truly modern Jaguar. One of the biggest problems for the S-Type, at first, was that it was so closely linked with the US-market Lincoln LS saloon. Jaguar was of course owned by Ford in those days, and all of the S-Type’s chassis, engines and a good deal of the cabin were shared with the mid-size Lincoln. That may have helped costs, but it also made some of the S-Type’s fixtures and fittings look and feel a bit too cheap. A major facelift in 2004 fixed a lot of that. The cabin got an XJ-style makeover and a big boost in quality. The suspension was upgraded too, which made the car ride much better and made it a better companion on Irish roads. The engine range also expanded to include a down-sized 2.5-litre V6 petrol unit and a range-topping 4.2-litre supercharged S-type R. That car was exceptionally good fun to drive, but perhaps not such a great thing to buy these days – it's expensive, complex and thirsty. Better to either stick with a 2.5 V6 petrol (which is more frugal and punchier than you might think) or track down one of the later 2.7 V6 diesels, which became part of the S-Type range, along with another small facelift, in 2007. Build quality in the S-Type was generally pretty good – Jaguar was long over its 1980s nadir in quality terms, and Ford imposed its own quality standards on Jaguar, which really boosted reliability and build. Still, you’ll want to be wary of absolutely anything that has an electrical wire coming out of the back of it, and check carefully for things like worn out engines (smoky exhausts and reluctant power delivery are the giveaways) and leaky door and boot seals. And never, ever buy one without a full service history, either from a Jaguar dealer or an independent Jaguar specialist. Around €9,000 for a 2007 2.7 V6 diesel.